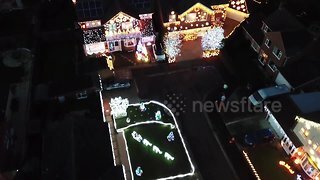 Rumble / Entertainment Life - This drone footage shows every home on Britain’s most festive street lit up with Christmas decorations. 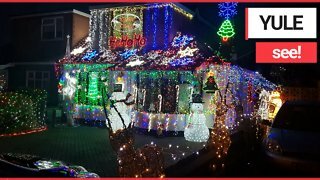 Neighbours living in Mill Crescent in Westerleigh, South Glos., joined forces for their 14th year of colour. 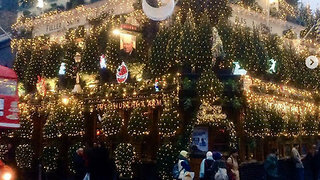 Christmas lights and decorations including Santas, reindeer and stars adorn the street. Residents raise thousands of pounds for a different charity each year. 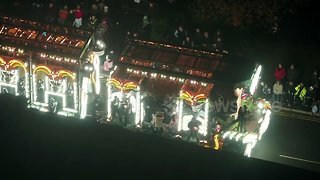 This year they are fundraising for Winston’s Wish, a charity which supports grieving children - after raising £2,850 for Different Strokes in 2017.